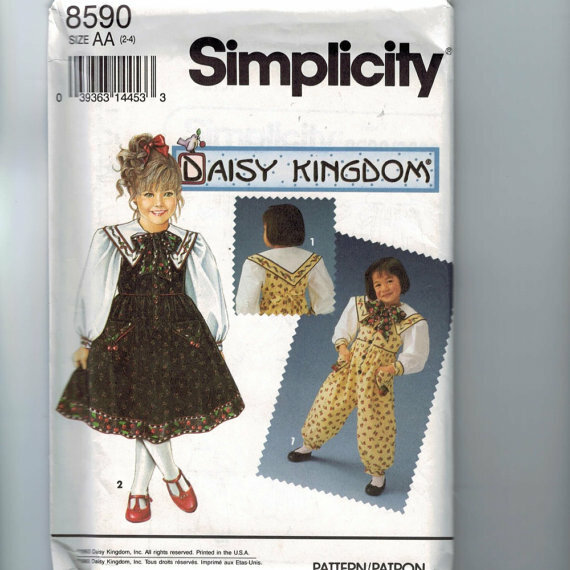 male pattern boldness: Daisy Kingdom Little Girl Dress Patterns -- YEA or NAY? 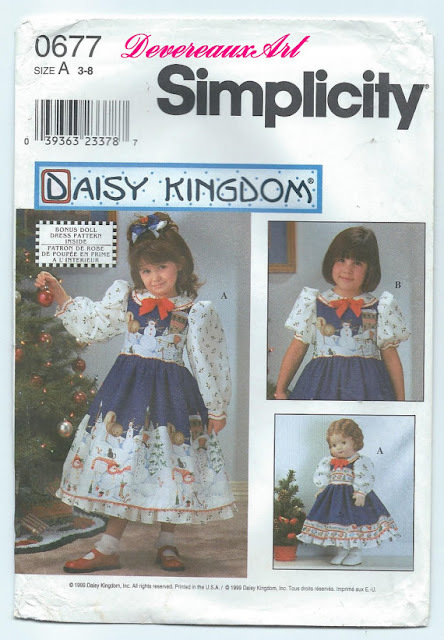 Daisy Kingdom Little Girl Dress Patterns -- YEA or NAY? Friends, let me preface this post by saying that I would never say anything intentionally to offend. 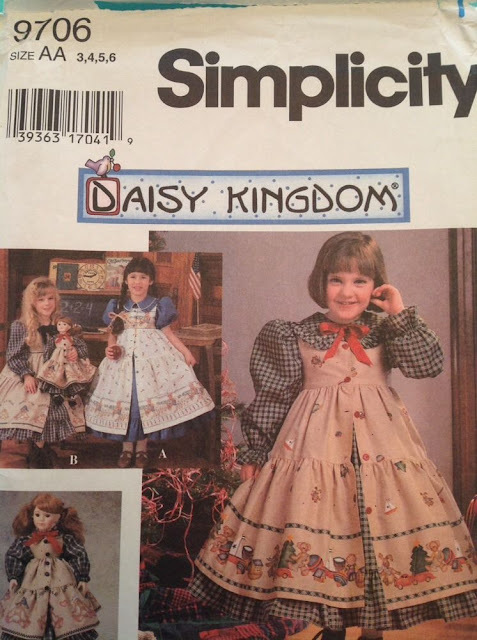 But can we talk about Simplicity's long-lived Daisy Kingdom pattern line for girls? 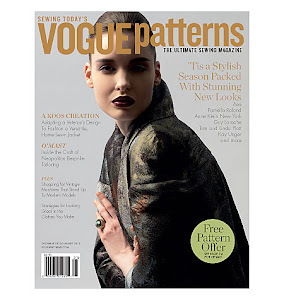 I'm sorry, but to me, these patterns look like a cross between Whatever Happened to Baby Jane? 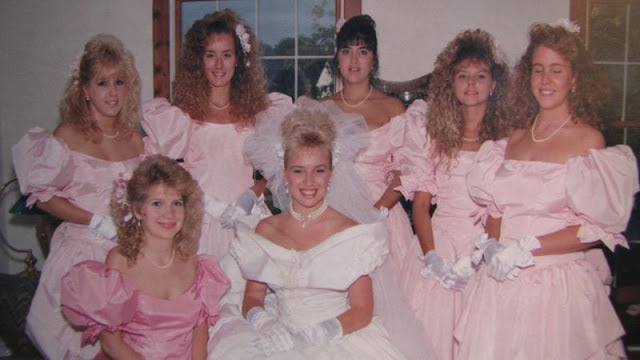 and the ugliest 80's bridesmaid dresses ever. Freakish. The mind reels and the teeth ache. I don't get the Daisy Kingdom aesthetic at all. 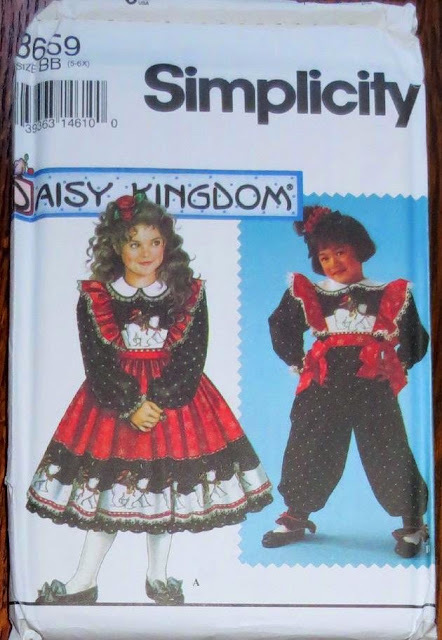 I mean, I've always enjoyed Shirley Temple and Margaret O'Brien dolled up in ruffles, but Daisy Kingdom: what am I missing? Is there a children's book series or movie that could explain it all? Where did this thing come from (and how do we get rid of it)? Okay, readers, enough ranting. Do you or don't you dig the Daisy Kingdom look? If you don't, does a daughter, sister, or grandmother you know love it? Were you ever dressed this way??? 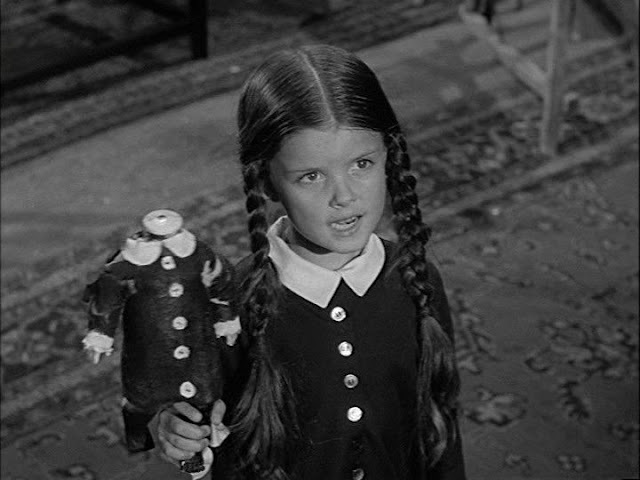 Wednesday Adams -- timelessly elegant. Yea!! Of course I don’t know about today’s little girl, but back in the day my girls loved to dress up in stuff like that (and dressed up their younger brother in it when I wasn’t looking). 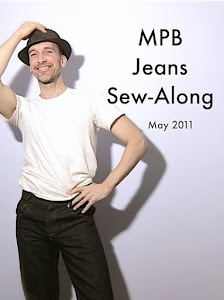 :-) Along with their corduroys and jeans they had smocked dresses and pinafores made by my mother and grandmother, and I made them Folkwear Prairie Dresses, pinafores and bonnets, as well as the Annie dress, space suits, alien wear, witches costumes, pierrot outfits and what have you. It’s all about dressing up as a fantasy figure. Witness the Disney Princess costumes of today (ugh), Storm Troopers, Ironman etc., etc., etc. :-) I can’t say I’m a fan of the fabric, but the dresses are fun. I don't love or hate the actual patterns. I do hate the fabric choices but that's an additional issue. That said my daughter enjoys over the top girly things like these sometimes and honestly I'll gladly take anything that is dressing like a little girl not a little grown up going clubbing any day. I only own one of these though and it was purchased as part of a set for next to nothing. The designs seem to 1) recall a historical style, one that portrays the wearer as the picture of propriety and good manners (curtsies, etc. 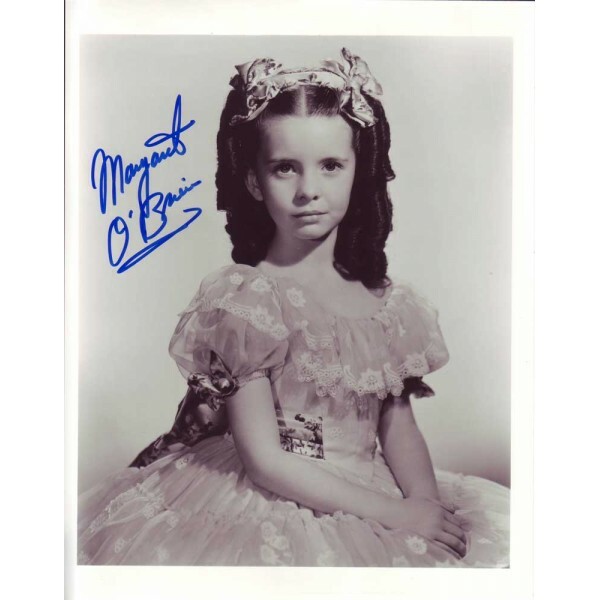 ), back when little girls knew their proper role (i.e. what their parents hope others will construe as having raised a proper little girl) and 2) infantalizes the wearer in a perpetual state of what is perceived as cute. All of it is costume. Traditional wedding and bridesmaid dresses, Easter dresses, etc. are also costume. Do little girls genuinely like this kind of treacle? It seems they do. Aesthetically, I don't find any of it appealing but then I'm a 6'2" guy. But I'm glad the fashion world is larger than my taste, even if I don't understand more than half of it. I made many for my daughter in the 80's. She loved them! Sometimes I used the "Daisy Kingdom" fabric and sometimes not. Styles come and go for kids, just like adults. The Princess Di "courtship" and wedding really killed female fashion for quite some time. There was a ruffly Laura Ashley meets Ralph Lauren at the Little House on the Prairie look that I'll plead guilty to in the early 80s. Part of it was a backlash to the braless dresses cut to there in the disco 70s. Then everything went Dynasty and it didn't calm down until minimalism came in in the 90s. I loved them when I was a little girl. I still think they would be fun to wear, maybe with less fussy fabrics. They have a very '80s look, what with the wide collars and puffy sleeves, but those full skirts are super fun for lots of kids. These patterns look like the same dress made out of different hideous fabrics. The bloomers are much worse than the frocks but it is the way the little girls are styled that really sets my teeth on edge way too much beauty pageant back combing and lacquer going on there for my liking. In part I agree with Stephanie - the biggest problem is the choice of fabric. I think if you used a fabric like the dresses Shirley and Margaret are rocking - and ripped off the collar, bows and/or puffy sleeves - it would look sweet instead of nauseating. Nay to the pantaloons, though! I'm pretty sure they stopped making these in the 90's? If not, that's cray cray! Please tell me that these patterns are not for real and that this is just a joke? Seriously? This was a thing?!? Nay... that's child abuse! Party dress maybe in nicer fabric in the '80's. I love Wednesday's dress - classic and chic. I was never a big fan of the fabrics, but the style lines are what I like (minus the big collars). 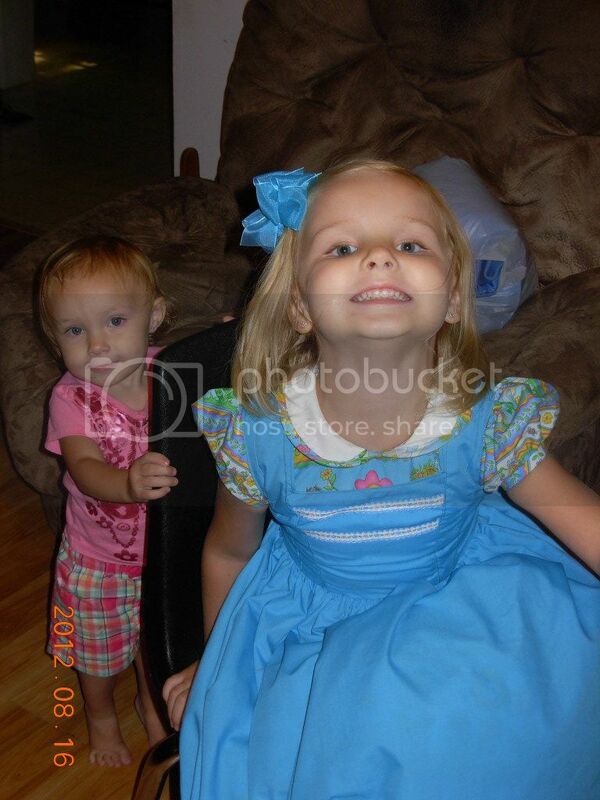 My granddaughters love girly, twirly dresses! Considering the appalling lack of nice girls' clothes in the stores, I am so blessed I can sew for them. They don't wear these all the time, of course, but it is such a pleasure to see them enjoying their dresses. The grown-up world will come soon enough. I had many dresses like that in the eighties (I was born in the seventies) and loved them! I loved the swirly skirts and I even wore bloomers so I could flip upside down on the monkey bars while wearing them (my mom sewed). I was a very active girl who was a total tomboy except for my love of frilly dresses. 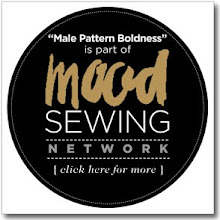 Guess that's why I sew now! Of course, now these look ridiculous, but for the time (eighties?) they were perfectly normal. I don't think I had any of these since my mom sewed mainly from stash or with sale fabrics, but they were an inescapable part of going to the fabric store when I was a kid. The prints didn't usually appeal (there were a lot of them with weird looking rabbits on them) but the fabrics themselves were a full-bodied polished cotton-y kind of thing that I suspect would sell really well even now in the right print (polka dot would be nice). Could these be blamed for the numbers of women of my generation deciding they didn't want to learn to sew? Maybe not entirely, but they certainly didn't help. Hmm, my four year old is asleep upstairs, so we'll have to get her opinion tomorrow. Her requirements in a dress are (1) does it twirl (2) pink/purple? or rainbow? or cats? (3) sparkly? Some concessions can be made for my little pony or princess without being pink/purple. Although strangely enough her very favorite dress, barely fits one of those categories. Twirling is VERY important. The little girls I knew loved wide skirts that would stand out when they twirled around! Yes, the dresses have to twirl!! Absolutely! I made my daughter several of these dresses in the early 90's along with matching dresses for her doll. They were very cute on her but she was only 2-5 yrs old. They would be kind of odd looking on older girls and I can't imagine anyone still wearing these in 2015. Right, but it was the eighties, decade of excess. They ARE a lot of dress for a little girl. (And a lot of them do look like the same dress made up in different fabrics.) But I agree, I think the fabrics are a lot of the problem. Well, that and the big puffy sleeves, but whatever. With different fabrics and a few changes I think they could be cute, and a lot of little girls would like them. I like the last one--lose the teddy bear fabric and it would be all right for a younger girl. They were awful!! Yes, the fabrics especially, but not only -- they are just too much! They wear the girl! There are lots of really adorable clothes for girls in the stores now and in other patterns, and I'd never sew anything like this for my sweet, sweet granddaughter who loves to get dressed but who has better taste than this at the age of 2. Yes to the style, no to the fabrics. I don't know anyone who wore the DK stuff in those fabrics. Well, dolls. But not humans. However, lots of us wore the dress styles. Or similar, slightly toned down. (Not the fabrics, but I said that already. Yikes). Those were some scary, high-volume years for fashion - for adults as well as kids. My mother most definitely made those dresses for me in the late 80's and early 90's when I was little. There's an old picture of my mom and I in matching seafoam green floral dresses and I'm pretty sure it was pattern 8663 that you posted here, or one similar to it because it had an ugly square bib thing framing the face. Also a distinct memory I have from early childhood is wearing frilly dresses like that and the inside waistline with all the gathering was so scratchy and I just hated it. But I guess I don't blame mom for not fully lining a dress I'd grow out of in a few months. To be honest, comfort was #1 utmost importance to me at that age and I really didn't care what I looked like until I was about 15 years old, so I'm probably not the best judge of how a normal little girl who likes frills would feel in that dress. So I guess even though these pictures are nostalgic and hilarious (also am I the only one who thought it was racist that they only made the Asian girl wear the weird harem pants??) And one could make the argument that if you didn't use fabrics that a first grade teacher would use to decorate her classroom they might be vaguely passable... I'm gonna have to give these a Nay. They do look very dated! I have a few of the newer patterns and they are sundresses with matching purses. They are much cuter and appropriate for today's fashion. Most I don't care for the fabrics, but the same cand be said of the Big 4 patterns for girls. I have learned to look past that and refer to the design image. Hmmm...in Australia we're currently very aware of the over-sexualisation of young girls, particularly the dance costumes and make-up the little girls are wearing these days. 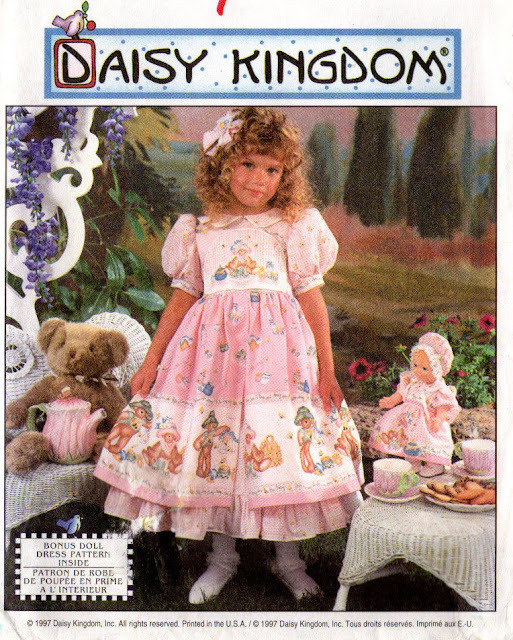 All I can think is that the Daisy Kingdom dresses are age appropriate and modest - other wise they're just awful and embarrassing for any young 80s girl! I had my school formal (prom) in the mid 80s and I wore a purple taffeta drop-waisted puffy-sleaved horrible dress which cost a bomb....those photos have disappeared from the family album and are only a cringey memory for me now! I loved reading thru everyone's comments! 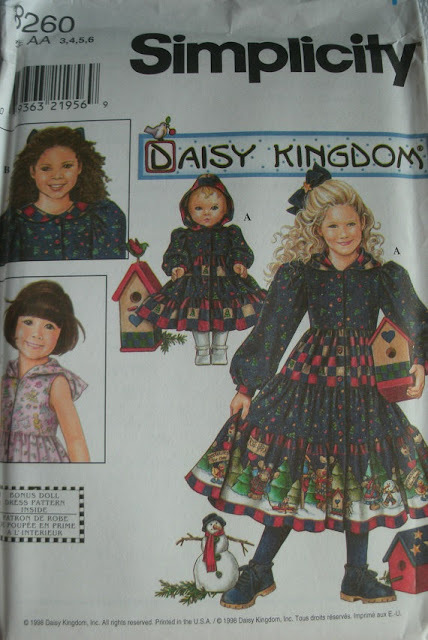 I was never a fan of the daisy kingdom dresses but they were appropriately stylish for the era. My sisters and mom were huge fans of the overall look (my sisters and me were all born in the 80's). The patterns are really no different than the little girl patterns now. I have made a couple of vintage daisy kingdom patterns without the sleeves using modern fabric and they turn out adorable for little girls. I thoroughly enjoyed your post because it was like waking down memory lane! Thanks for this, Gene. 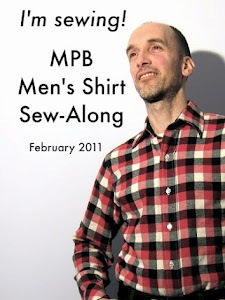 It certainly does help to explain this designer's aesthetic. It is interesting that she is using a photo of herself wearing clothing that is long out of fashion. Thanks, Gene. What's interesting is that Daisy Kingdom also produced my favorite men's parka pattern in the Seventies. Go figure! Kind of an 80s thing when more was more. The printed fabric just added to it. And no, I didn't wear the look, but I did have the hair. I made a bunch of them for my 2 daughters in the 80's They wore them to church and places like that, but not to school. If I remember right, there was a whole line of trims and buttons to go along with the fabric. Someone mentioned that the line seemd a little obsessed with rabbits - I remember there were WAY too many cherry prints. Cherries was a big theme. Ick. All I can think, looking at these, is of the movie "the Bad Seed" from 1956. How Rhoda would have loved these dresses! 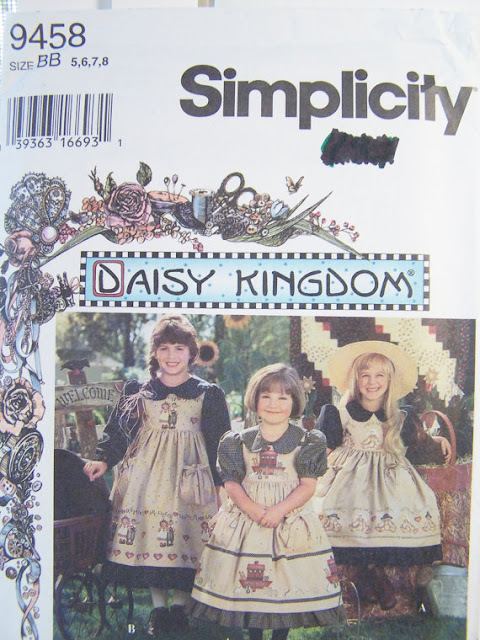 I remember in the 80's going to the Daisy Kingdom store in Portland where Patty Reed started it all. It was a massive space filled with all of those fabrics and trimmings. It was not my aesthetic at the time but it sure was popular. 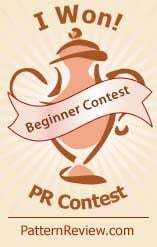 After college in the early 90's I interviewed with Patty Reed for an event planning job. She was going to have wedding dresses sewn in China and sold stateside, a very new concept back then before everything became made in China! She also refurbished a Victorian house and was going to run it as a wedding venue as well as a place to sell the dresses. I was inspired by her entrepreneurial spirit but I did not take the job since my style was more of the early 90's Donna Karan/Calvin Klein streamlined look. Also, brides! Didn't think I would enjoy working with so many brides. Anyway, good to revisit memories of such a successful woman who really ignited sewer's interest in patterns, fabrics, and an entire lifestyle. Daisy Kingdom sold a lot of home decor as well. I still see it in the thrift stores of Portland! Oh the memories. I was subjected to these by my adoring and childless aunt and was too young to know better. I loved the princessy puffiness like any good early nineties six year old. I would never dress my daughter in them. Gunne Sax (Jessica McClintock) patterns were very popular in the late 1970's to early 80's and I made a few for my daughter who loved them. I was not impressed with these ridiculous fabrics, preferring to use calicos and floral designs, with flat lace. I made a couple of poofy dresses for youngest DD in the 80's. One of them was a Gunne Sax pattern. She liked them at the time but once she hit teenagerhood, she didn't like them any more. I think these are hideous, but then again as a child I desperately longed to own the dress that Glenda the good witch wore in the Wizard of Oz, and that is about as poofy as it gets. My 6 year old daughter's requirements for a dress are quite simple 1. Does it twirl? 2. Does it have pink? 3. Are there flowers on it? If it meets 2 of these three, she's in. I wouldn't even dare show her these, cause I'm not about to make something that looks anything like them. No. Not Ever. 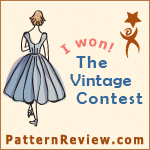 I was working at a chain fabric store in the late 80s and those dress patterns and that fabric flew out the door. 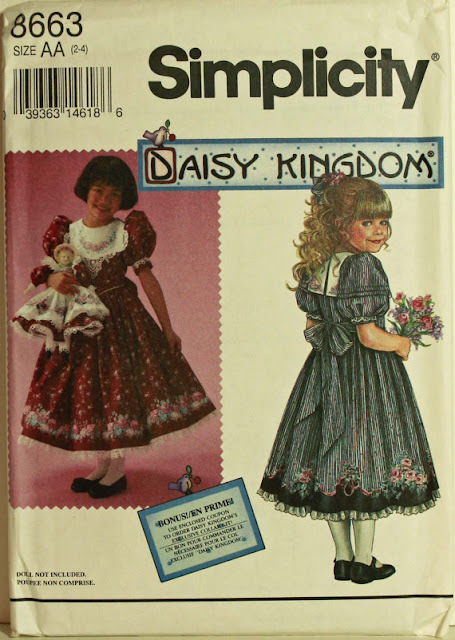 And, at that time, Laura Ashley and Gunne Sax had patterns for adult women that were not very much different. Prior commentor was right. Princess Di may have been an icon in many ways, but her early fashion sense was very juvenile, er, "innocent". Arrrrgh, pretty awful! However, at the top of my stash today I happened to note I have 4 yards of a Daisy Kingdom floral cotton still in the pre-packing from Walmart, clearance priced 3 times to the grand total of $3.00 for the entire 4 yards. I figured I could make SOMETHING out of it 15 years ago or so when I bought it. Still waiting for the urge to make draft stoppers or a dog bed or something to hit me. As a 3yr old in the very early 90s I was a bridesmaid in a dress made by my grandma. It was peach coloured silk, with puff sleeves and 2 layers of net in the underskirt. The skirt hem was gathered into scallops and the whole thing was decorated with ribbon rosebuds. 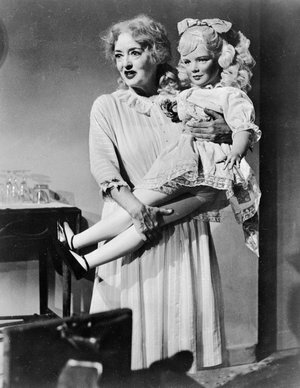 I carried a doll in a matching dress. My only real memory of wearing it is how itchy those net skirts were! All of the pieces are fine if they were just … smaller. The sleeve would be ok if it were less poofy. The collars need to be slimmer and the bodice a bit more narrow. The proportions are just so 80's. I'm sure I had some dresses like these when I was younger, but I wouldn't put them on my daughter. Maybe they're so popular because the patterns have good bones? I don't know, but they're pretty hideous. My 20 year old LOVED them when she was between the ages of 2 and 6. I made several. My younger daughter, now 15, wore the hand me downs but was never in love with them like her sister. I was horrified at the images until Amy's comment reminded me that at one time, lots of people wore Laura Ashley and Gunne Sax. I still shudder that such things were the style and all the rage. These dresses are very typical of 80's fashion, and right now it all looks "old-fashioned" and "ugly" to our 20-teens sensibilities. Just wait a few years. Another 20 or 30 years and it will be "vintage" and "cute' and by 2080 the whole fashion cycle will roll around again and we will all be wearing some version of the same silhouette. The fashion silhouette cycle goes in 30some year progression from straight (think 1920's) to crinoline (1850's, 1950's) to the big shoulder look (Can you see what the Gibson Girl and these little girls have in common?). It's not ugly; just the fashion of the day. My daughters, now ages 22 &19 LOVED them. But, instead of sewing them, I bought them in the clearance section of the Daisy Kingdom store in Portland. My 7 year old loves wearing dresses her older sister's wore, and likes the twirly dress up feel of them. I agree, styles come and go, and we always cringe. I loved those dresses! I don't get the tutus and Halloween costume dressing that goes on daily nowadays? I see the pantaloons today with bright mismatched patterns? Cute but one day we'll ask why? 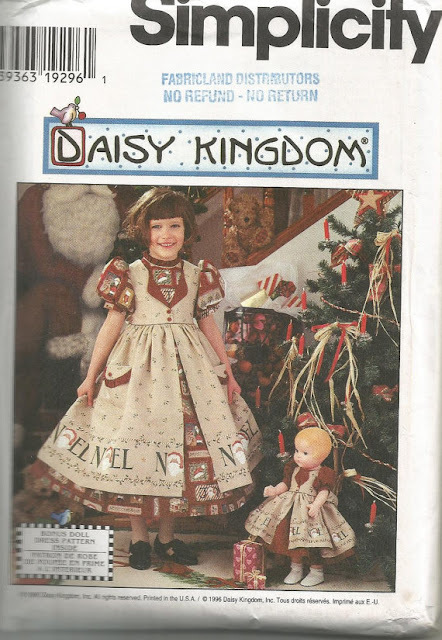 by the time i knew Daisy Kingdom existed my daughter was past the age of wearing those dresses and fabrics. i did work in a fabric store and bought lots of those but never made them it was cute to see how the fabric had the doll size prints also. I grew up in the 50's and always wanted one of the petticoats and made the dresses stand far out and the sleeves were puffy. Life was young and innocent back then and there was really no sense of fashion just everyday dresses. Dotted Swiss fabric was the most popular fabric my dresses were made from. My mother made clothes for my sister and I but they were made with calico prints so always were in style as they would be today. My granddaughters liked to wear pants not dresses anyway. My daughter is the one that still wore dresses clear up to her late 30'. 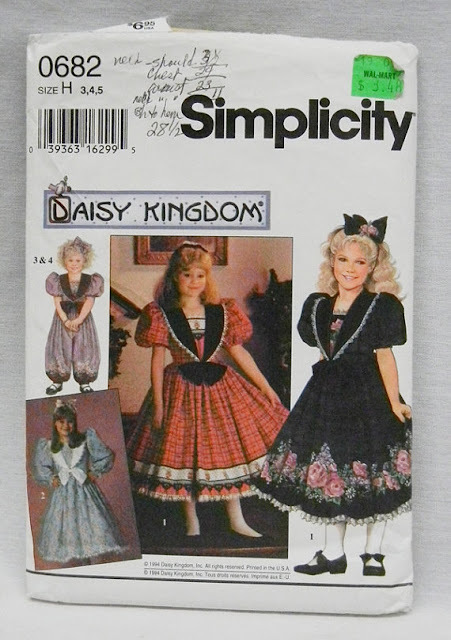 Looking back those Daisy Kingdom dresses were a little over the top and wear would you wear one? I wore them to church and sometimes to school. I wore these when I was little and now that I finally have a daughter I can't wait to make some for her. By the way, princess Charlotte wears traditional girly clothing and it immediately sells out. I hate the options for most girls today, I long for the simpler times of old. The patterns are not for today's lifestyle but they were adorable back then. I feel like they capture an innocence that has been sadly lost from a time when it was okay for little girls to wear ruffles and lace and to dress up not down. A time when little girls were still innocent and still girls. I wish I had been able to afford this look for my daughter when she was little. 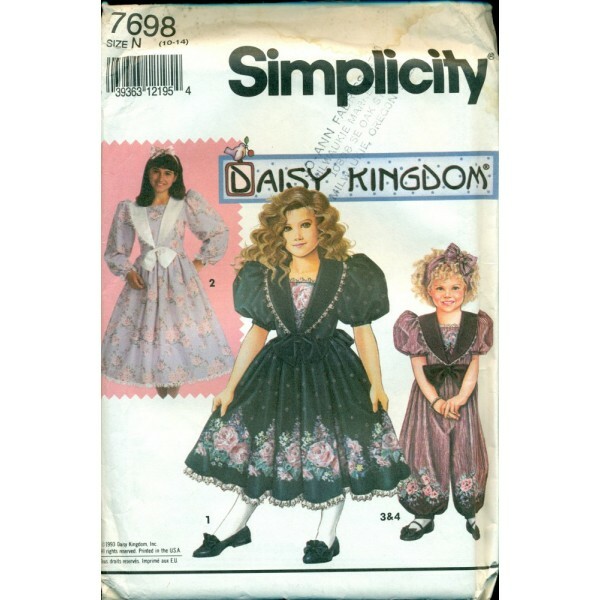 Ruffles and lace come, go, in and out of fashion, but Daisy Kingdom is just right for age infant to 6 year old, but still this is matter of taste. Some young lady like one of my nice love these pattern except fore the fabric, better choice are now available that enhance the look.